The subtle street presence highlights the surprising element of this home. 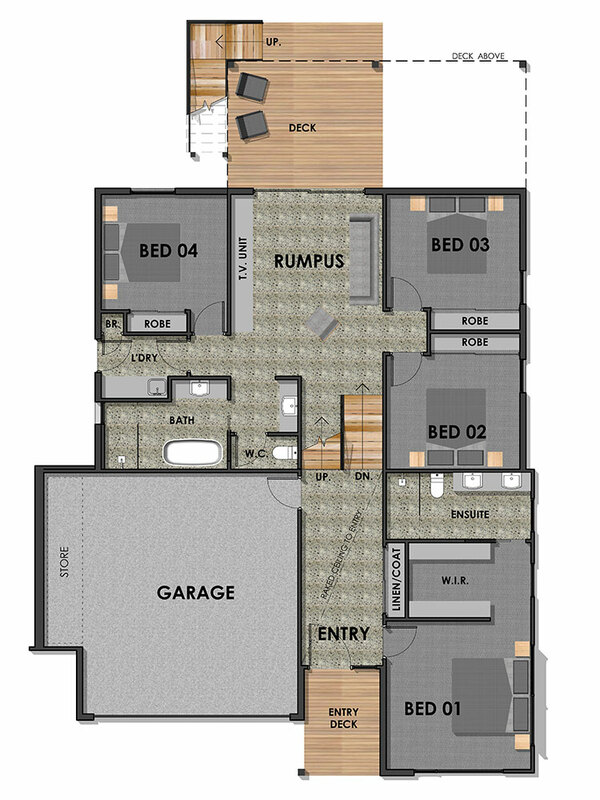 The single storey form to the front gives way to the expansive double storey zone to the rear. The split level of the ground floor is appointed with the master bedroom, three generous bedrooms and open Rumpus that leads to a rear deck. 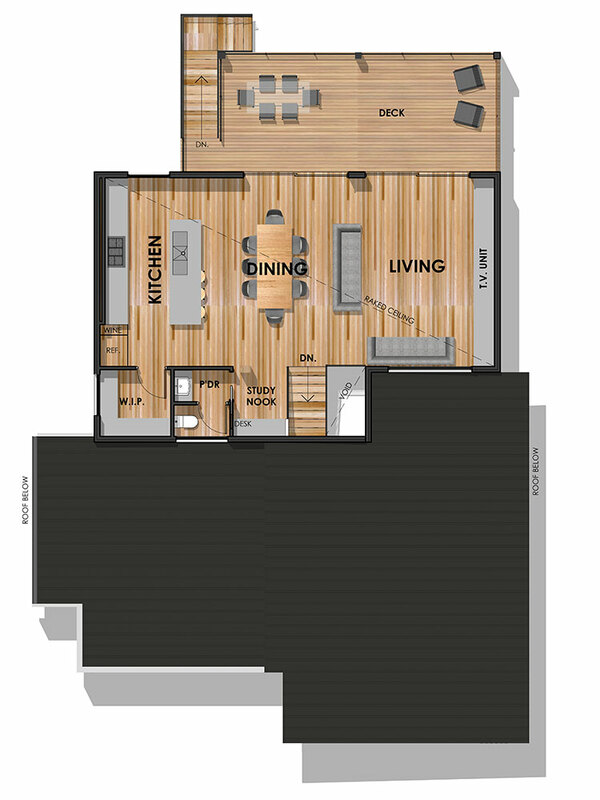 At first level, you are met with an open plan living zone, featuring raked ceiling and highlight glazing, with the large deck complimenting the internal/external relationship this design has to offer.